Apple Watch Series 4 vs. Ticwatch 2: Which Watch Is Better? For those individuals who want to achieve a modern look, look no further than smartwatches. 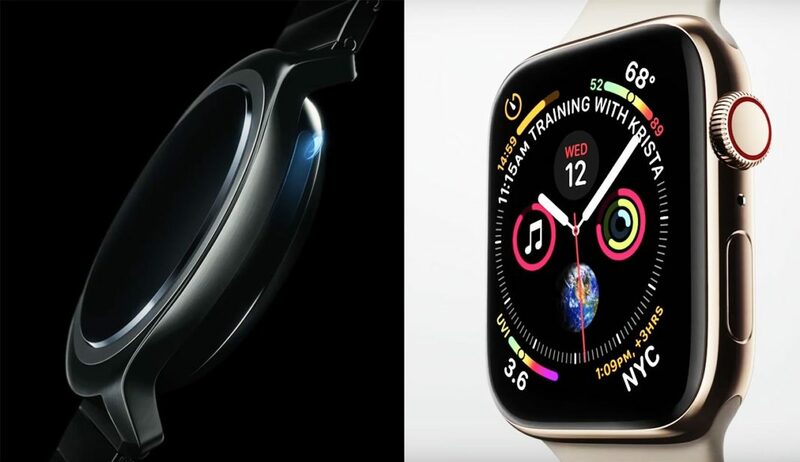 In this article, we are going to examine the Ticwatch 2 and the Apple Watch Series 4. Ticwatch is the best selling Android smartwatch in the Chinese market, second in smartwatch sales to Apple Watch on platforms such as JD.com and Amazon. In June 2016, Ticwatch 2 launched on the JD crowdfunding platform, raising over RMB $12M in 11 days. On July 25, 2016, its Ticwatch 2 Global Edition Kickstarter launch raised $50K in less than 10 minutes. On the other hand, the Apple Watch entered on the market in April 2015. It became the best-selling wearable device. The Second Generation, including Series 1 and 2, launched in September 2016. On September 22, 2017, Series 3 came out. Series 4 was live on September 12, 2018. The Ticwatch 2 has a round screen and markets itself as a watch that helps you with a digital lifestyle. The Ticwatch 2 is compatible with iPhone and Android. It allows you to voice reply to messages, use a wrist flick to make phone calls, and use “tickle” touch to use the small screen more easily. Apple Watch Series 4 has a rectangular screen and brands itself as a fitness and health monitor and gadget. It has partnered brands including Nike+ and Hermes. The watch can monitor your health, be your workout partner, track your activities, and help you stay connected. Both watches are great for helping one pull together a modern look. Whether you are a businessman who wants to convey a certain message or a fashionista who is looking to stay up-to-date on digital trends, a smartwatch can be tailored for your lifestyle. Which smartwatch do you prefer to wear? Please let us know in your comments below.